On their promo page, you will read how they are considered to be indie pop â€“ but in The Ravishers’ debut self-titled album you will hear that they can’t be confined to that title alone. Dominic Castillo (vocals) and Jonathan Barker (bass) from Portland, Oregon have displayed their ability to make catchy and original songs. Castillo’s vocals alone create an innovative and addictive sound. Soft, usually mellow, and lazy sounding, Castillo’s sound is redolent to Julian Casablanca’s voice of The Strokes. Besides Castillo and Barker, there were a couple of fresh faces for the creation of the album: Isaac Frost (drums) Erick Alley (bass), Matt Casebeer, and Bryan Free (piano) helped produce a fuller sound. Nearly every track had me singing along, especially the opening song, “I’m Him,” which is easy on the ears because of the mellow and soulful tone, along with a clear-cut beat. 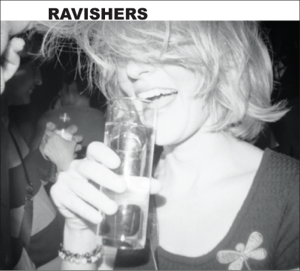 The new album, The Ravishers, is valuable for its variety of beats and riffs, but should be holistically appreciated for its alluring vocals.